An untreated damaged tooth can be painful and lead to more serious mouth diseases. A tooth filling is a fast, practical, and durable solution. To treat a cavity, our dentist will remove the decayed portion of the tooth and then “fill” the area on the tooth where the decayed material once lived. 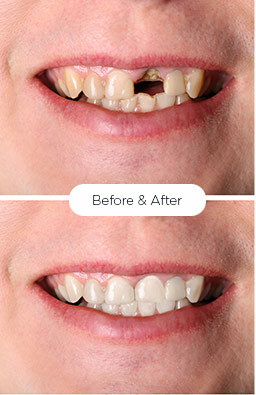 Tooth Fillings are also used to repair cracked or broken teeth and teeth that have been worn down from misuse. 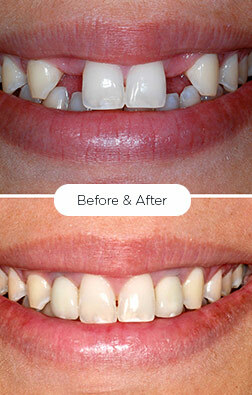 A tooth filling is a way to restore a tooth damaged by decay back to its normal function and shape. When our dentist gives you a filling, first removes the decayed tooth material, cleans the affected area, and then fills the cleaned out the cavity with a filling material. Also, helps prevent a tooth extraction. When do You Require a Tooth Filling? Our San Diego dentist can detect whether you have a cavity that needs a filling. During a checkup, will use a small mirror to examine the surfaces of each tooth. Using unique instruments, we will check for anything that looks abnormal. May also require an X-ray of your entire mouth or a section of it. 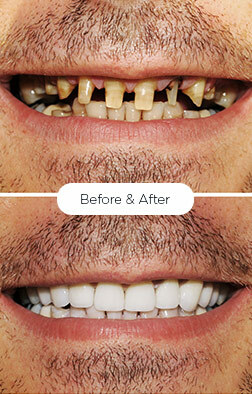 We will explain you the type of treatment you require, also depend on the extent of damage caused by decay. What Are the Advantages of Composite Tooth Fillings? 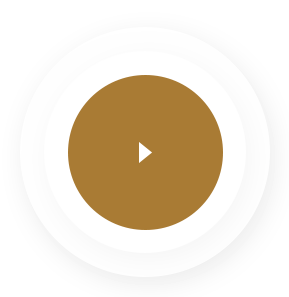 The advantages include appearance and conservation of tooth structure, along with the bonding process with which they must be placed. Obviously, a tooth colored restoration is often preferred by patients for esthetic considerations, avoidance of a metallic restoration, and concerns about mercury. The need for a filling can arise on any surface of any tooth. Some locations, such as the deep grooves in the back molars or the surfaces between the teeth, are particularly vulnerable to cavities. Also, as a benefit of the bonding process, some weaker areas of the tooth may also be maintained with a composite restoration. *This comparison is between composite fillings and amalgams. Are Amalgam Type Fillings Safe For Use? Over the past several years, many concerns regarding silver-colored fillings, otherwise called amalgams have appeared. Because amalgams contain the toxic substance mercury, some people think that amalgams are responsible for causing some diseases, including autism, Alzheimer’s disease, and multiple sclerosis. The American Dental Association (ADA), the FDA, and numerous public health agencies say amalgams are safe, and that any link between mercury-based fillings and disease is unfounded. As recently as March of 2002, the FDA reconfirmed the safety of amalgams. Although amalgams do contain mercury, when they mix with other metals, such as silver, copper, tin, and zinc, they form a stable alloy that dentists have used for more than 100 years to fill and preserve hundreds of millions of decayed teeth. The National Institutes of Health has several large-scale studies currently underway to ultimately answer many of the questions raised about silver-colored amalgams. To allow a tooth’s nerve to “settle down” if the pulp became irritated. If emergency dental treatment is needed (such as to address a toothache). Temporary fillings are just that; they are not meant to last. They usually fall out, fracture, or wear out within one month. Be sure to contact our dental office to have your temporary filling replaced with a permanent one. If you don’t, your tooth could become infected, or you could have other complications. To maintain your fillings, you should follow good oral hygiene practices, visit our dental office regularly for cleanings. Brush with a fluoride-containing toothpaste, and floss at least once daily. If your tooth is extremely sensitive, if you feel a sharp edge, if you notice a crack in the filling, or if a piece of the filling is missing, call our clairemont dentist to make an appointment.